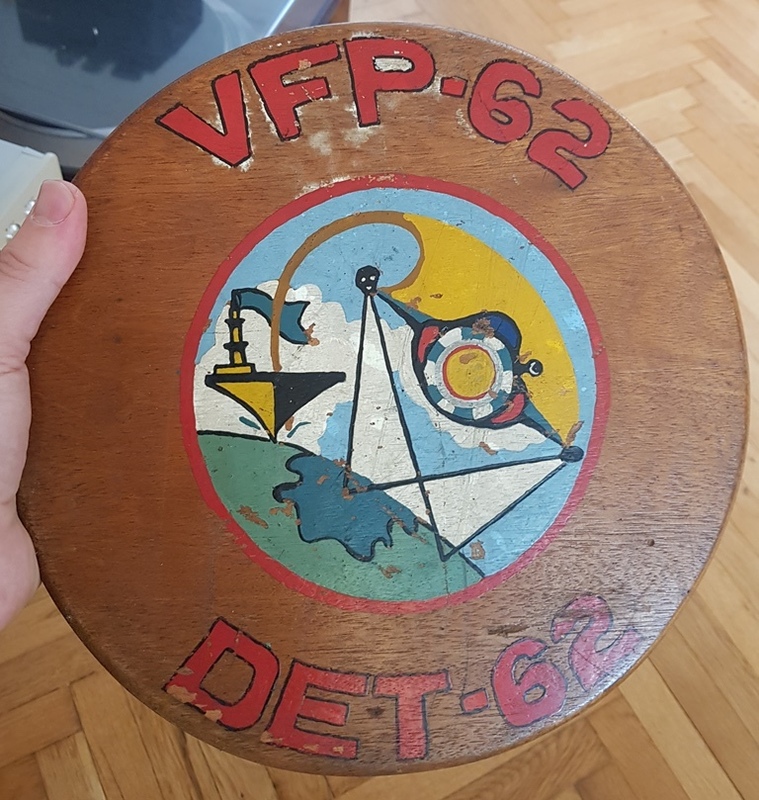 Memorabilia from VFP-62 squadron members, dusting off memories from decades ago, when we were all that much younger. As Greg Engler says, "At this point in life we have much more to look back at than we have to look forward to, in both time and in events as well." If they inspire a memory, click this link - VFP-62 Webmaster to send a comment, correction, or contribution to this page. 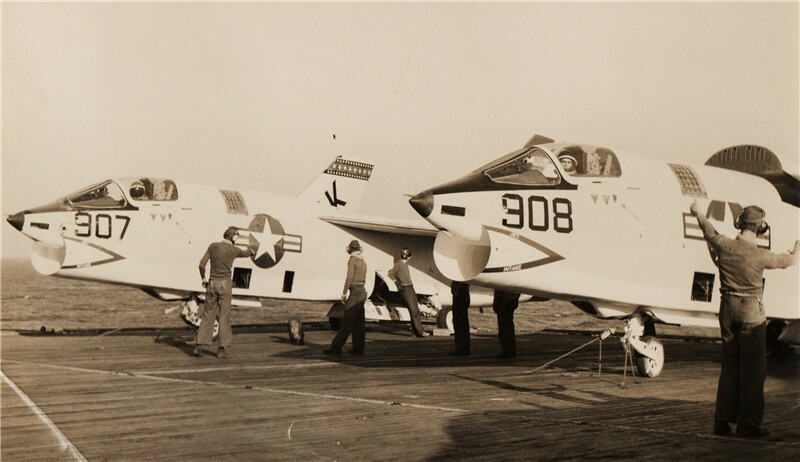 VFP-62 was a large squadron that supplied detachments (Dets) to the fleet carriers. 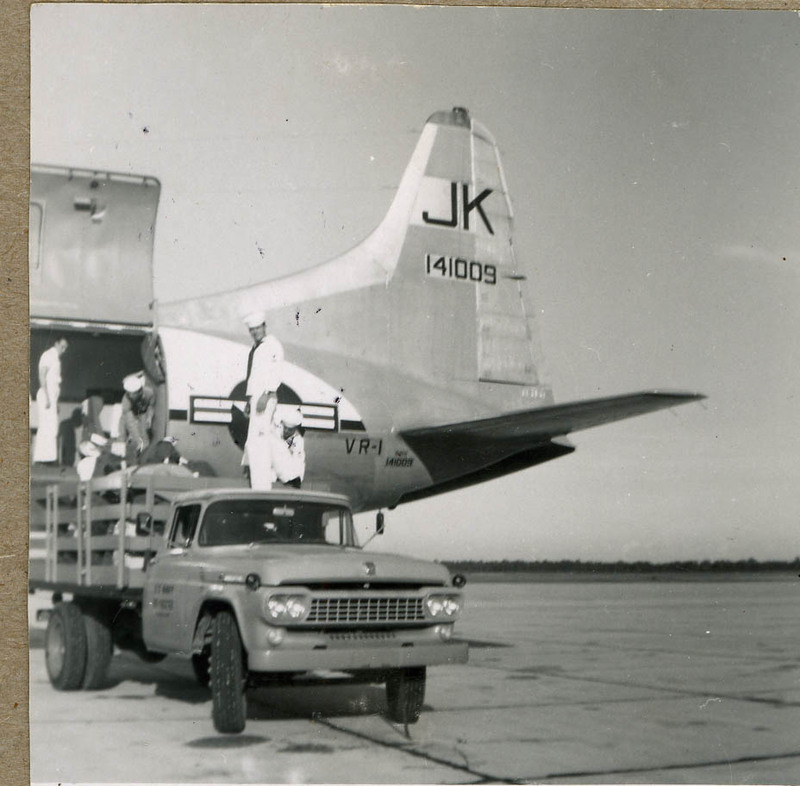 These detachments usually had 30-40 crew members with 2-3 photo-aircraft. The senior officer was the Officer in Charge (OinC), three-to-four pilots, one photo intelligence officer and senior petty officers would be the leaders of the 35-40 enlisted maintenance and support crew. 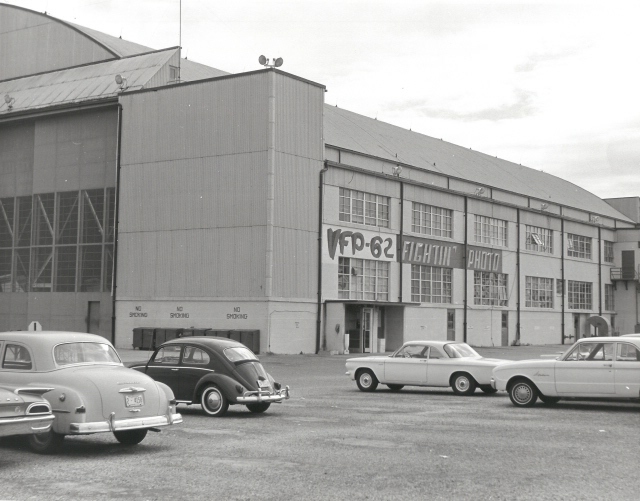 When the carrier returned from deployment, the detachment would return to base at Cecil Field. There was high competition among the various detachments "to be the best". 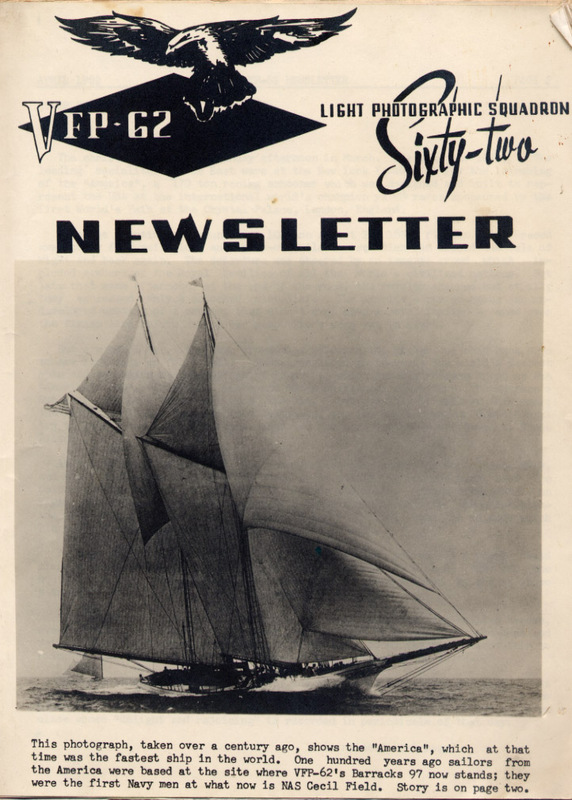 You can see that in the writings of the varous newsletters, which were written by the officers and crew. Very good writing if I might add. I now know why men who have been to war yearn to reunite. Not to tell stories or look at old pictures. Not to laugh or weep. Comrades gather because they long to be with the men who once acted their best, men who suffered and sacrificed, who were stripped raw, right down to their humanity. I did not pick these men. They were delivered by fate. But I know them in a way I know no other men. I have never given anyone such trust. They were willing to guard something more precious than my life. They would have carried my reputation, the memory of me. It was part of the bargain we all made, the reason we were so willing to die for one another. I cannot say where we are headed. Ours are not perfect friendships; those are the province of legend and myth. A few of my comrade's drift far from me now, sending back only occasional word. I know that one day even these could fall to silence. Some of the men will stay close, a couple, perhaps, always at hand. As long as I have memory, I will think of them all, every day. I am sure that when I leave this world, my last thought will be of my family and my comrades ... such good men. 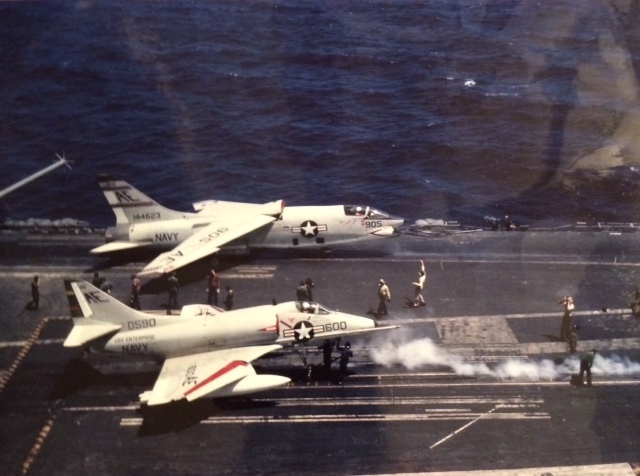 Taken from Michael Norman, "These Good Men"
Good Memories of the Navy:_ "I Like The Navy" -Contributed by Bill Newby. (1/27/13): 5 min. 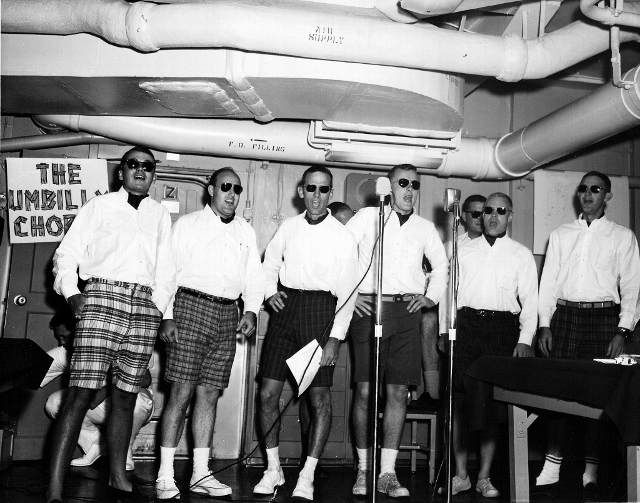 YouTube video I am the American Sailor with Ernest Borgnine (former chief petty officer) and the United States Navy Band. R.I.P. Chief Borgnine. You were a good man. 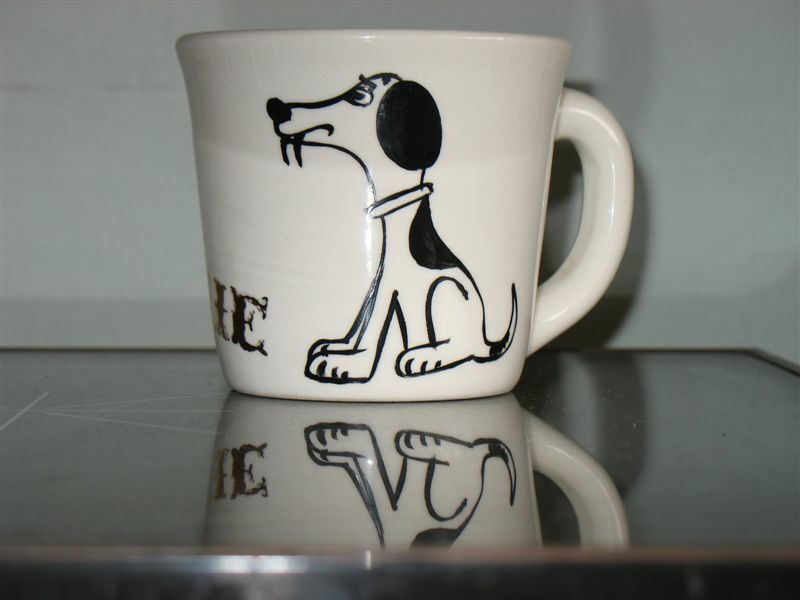 Contributed by Ernie Halley. 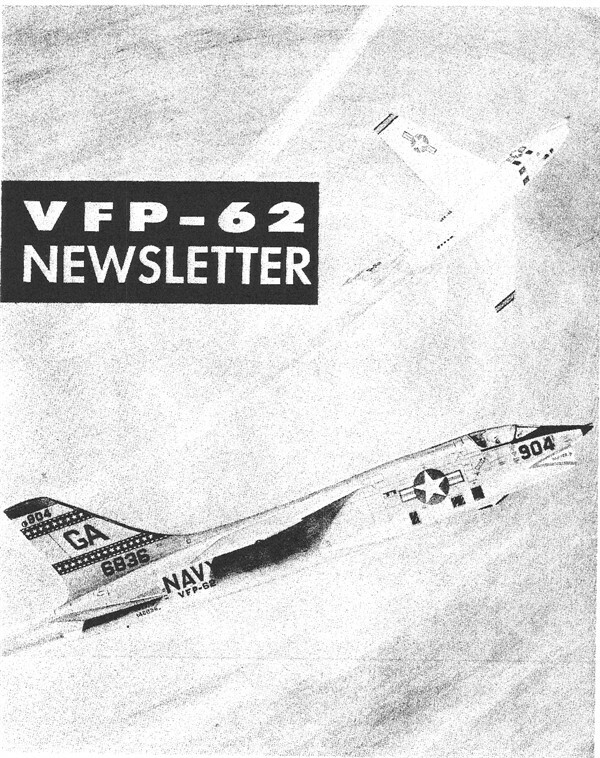 Webmaster's Note: VFP-62 was a large squadron that supplied detachments (Dets) to the fleet carriers. 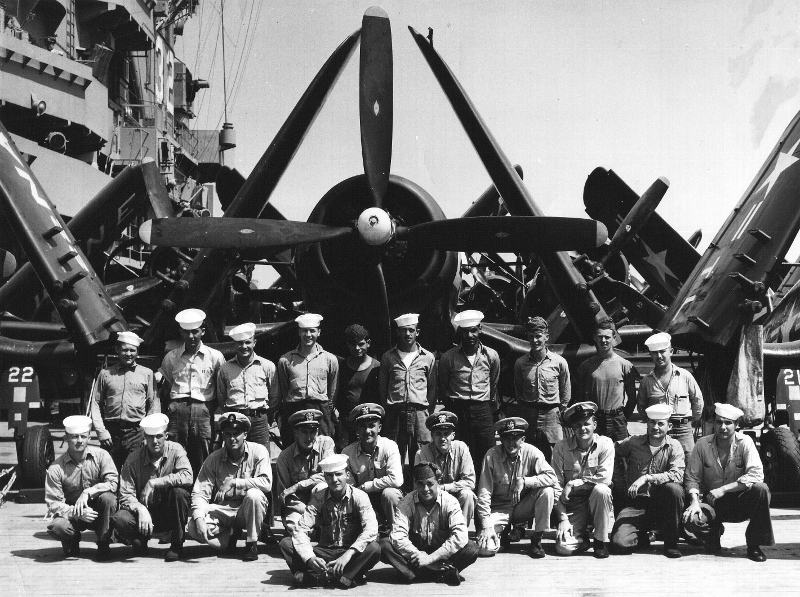 These detachments usually had 30-40 crew members with 2-3 planes. 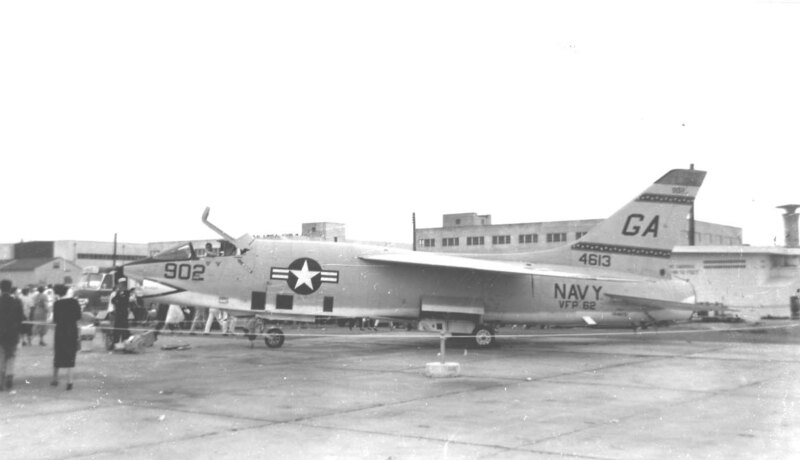 The senior officer was the Officer in Charge (OinC), three-to-four pilots, one photo intelligence officer and senior petty officers would be the leaders of the 35-40 enlisted maintenance and support crew. Years ago, I took it for granted but as we age, those VFP-62 days take on new significance. 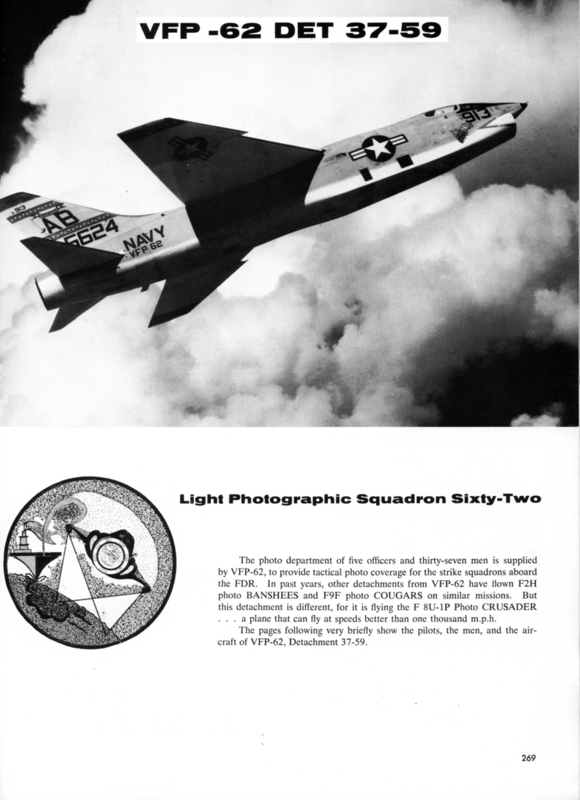 This November 27, 1957 Newsletter from the VFP-62 commanding officer, covers the days when the squadron received the supersonic F8U-1P (later RF-8A). 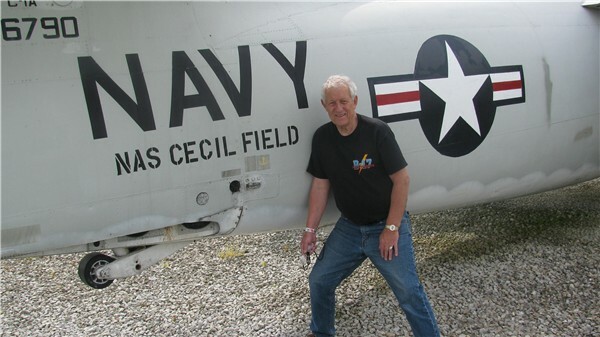 Written from the home base at NAS Jacksonville before the move to NAS Cecil Field. 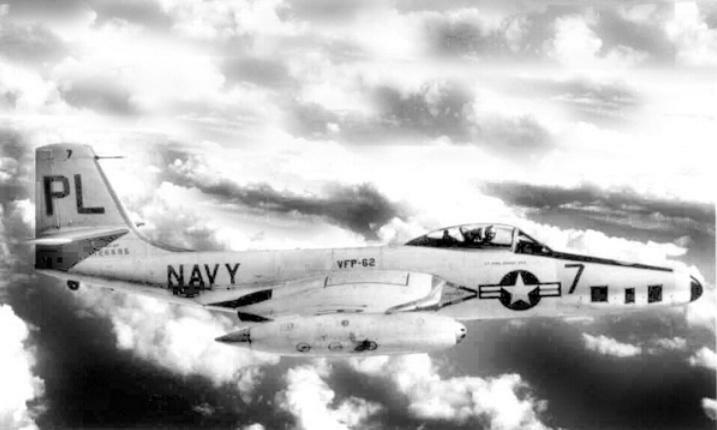 "It was an exciting time to be on the FDR with F8s in burner leaving the deck." 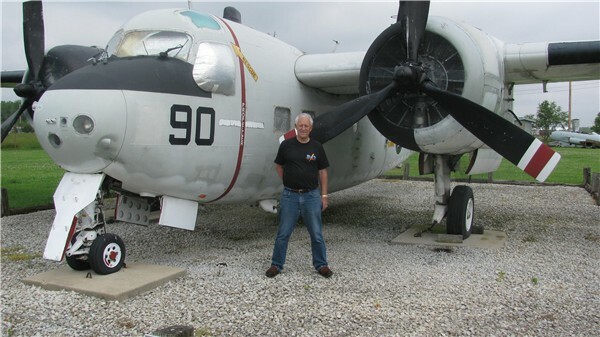 submitted by James Taylor USN Ret. Second row standing, AE3 Charlie Browning, PM1 Walter Scanlon, AN Lee McCoy, personelman Ken Tuel, AK2 Leroy George, Steward David Allen, An Daniel Perez, AN Dary Phillippi, AN David Saville, PM2 Ed Kinda, AMS2 John Fuller, AE3 Hideo Higashi(Sam), ANADJ Marion Swinford APR2 Bobby Graham, ADJ3 Bobby Jones, AMS1 Emile Cory (Pops), AN Richar Joline, ADJ1 Arthur Mead, PM3 Ron Lebo, AO3 Doug Heavner, PM2 Charles Jarvela, ADJ3 T A Greene, ADJ2 William Farrar, AME2 Marty Slater, AN Carlos Estevezm and ADJ3 J D Miller. (7/15/13) Introduction: In July 1958 Lebanon was threatened by a civil war between Maronite Chistians and Muslims. Lebanese Muslims pushed the government to join the newly created United Arab Republic while the Christians wanted to keep Lebanon aligned with the Western powers. Soviet Premier Nikita Khrushchev threatened to use nuclear weapons in the event of an American intervention. President Eisenhower responded by authorizing Operation Blue Bat in July 15, 1958. The plan was to occupy and secure the Beirut International Airport, then secure the port of Beirut and appoaches to the city. At the end-of-June the USS Essex was anchored at Piraeus, Greece. 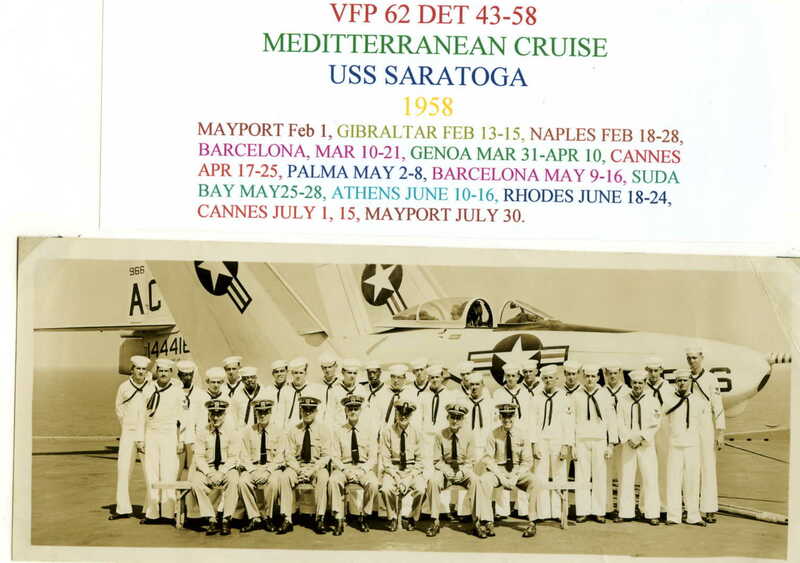 Also, the carriers USS Saratoga (CVA-60) [see Det 43-58 above] and Wasp were in the Mediterranean. 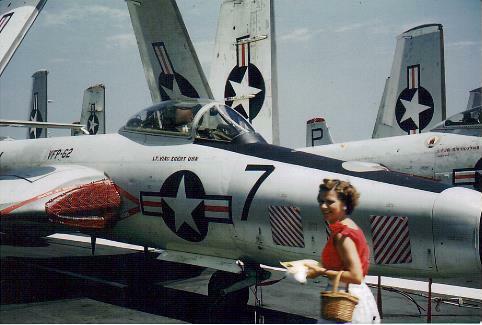 Commander Air Group 8 "CAGS RAG"
FLIGHT SCHOOL - T-34 MENTOR SAUFLEY FIELD - NAS PENSACOLA 1964! USS FORRESTAL ARRIVING AT NAS ROOSEVELT ROADS - FEB/1964 "21 GUN SALUTE"
[Webmaster: I suspect this sign was once hung in the VFP-62 detachment ready room of the USS Independence CVA-62. Amazingly, it must have been thrown overboard, floated in the sea, and found, as noted in the message below. Sixth Fleet carriers made liberty calls to Istanbul, Turkey and had to navigate from the Agean Sea through the Marmara Sea. I'm requesting information from anyone who might have seen this sign on the USS Independence in 1960-69 period. My father found this between 1965-1970 in Marmara sea in Istanbul [Turkey]. I want to ask is it a valuable piece or not ?